Paperback, 6.25 x 9.5 in. / 144 pgs / 90 color. Unlike the other two master Renaissance painters associated with Venice, Titian and Veronese, Tintoretto (1519–94) alone was born in Venice and he left his mark there more than either artist. 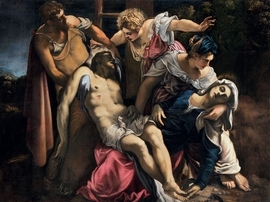 His paintings can still be found everywhere in the city: not only in museums, but as part of the original decorative cycles in public buildings such as the Scuola Grande di San Rocco, the Doge's Palace and the Liberia Marciana, and serving as altarpieces or chapel decorations in Venetian churches. 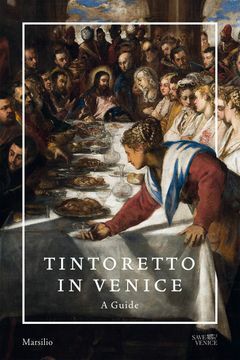 Over one hundred and twenty of Tintoretto's breathtaking paintings spill out of the pages, divided into sections that correspond to the Venetian Sestieri or districts. Each painting is accompanied by entries written by an international team of art historians covering major issues and placing them in their artistic and cultural context. FORMAT: Pbk, 6.25 x 9.5 in. / 144 pgs / 90 color.